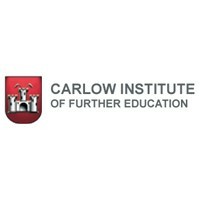 Carlow Institute of Further Education and Training has a long and very successful tradition of providing further education in the region. Carlow Institute of Further Education offers students the opportunity to work towards qualifications, while enjoying the ambience and liveliness of Carlow as one of the major college towns in Ireland. Whether you intend to develop new interests or are planning a career, Further Education will shape your future. We encourage students to develop to their full potential. Through study, projects and experience of work in your area we hope to foster in each student self-confidence and ability to further life choices. Further Education is an important link for students to access third level. Our courses also lead directly into the world of work. If you would like more information please contact the relevant course Co-ordinators or come to our Information Day. Carlow Institute of Further Education and Training has strategic links with its partners Institute of Technology, Carlow, Waterford Institute of Technology, Carlow College and VISUAL Carlow. The partnerships with both Institutes of Technology offer unique progression arrangements for students who graduate from programmes at Carlow Institute of Further Education and Training.